I have a large client running a Citrix XenDesktop farm on top of vSphere. The environment is using PVS to PXE boot desktops. 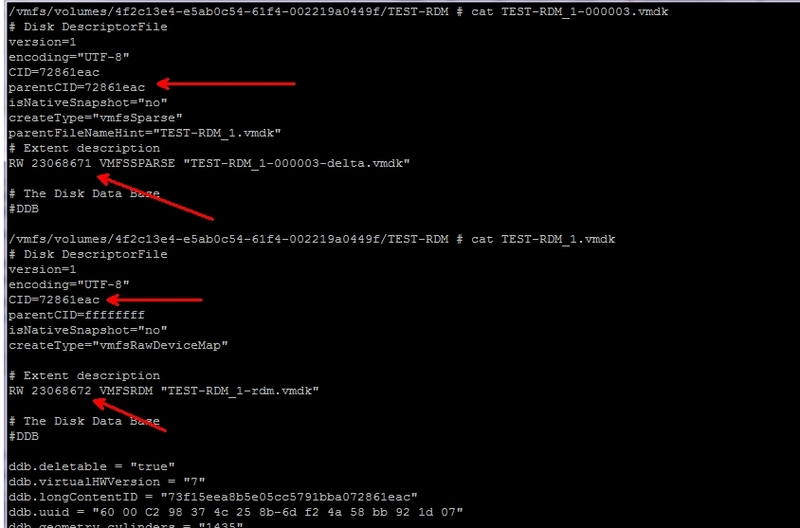 The VM shells were created with a 2GB cache drive. However, the environment has grown and we needed to extend the drive to 3GB. PowerShell and PowerCLI to the rescue! First, we need to extend the size of the VMDK from 2 to 3GB. The client wanted me to do this in a controlled manner, so I pointed my script to the AD OU containing computer accounts for a specific pool of desktops. I do realize I could have passed a few more of the variables as parameters. $computers = get-adcomputer -Filter * -SearchBase "OU=Some OU2,OU=Some OU,DC=foo,DC=com"
Next, I needed a way to expand the partition for Windows. I thought about some kind of script to disconnect the VMDK, mount it to another VM and extend it that way, but it seemed too destructive. So I looked at diskpart instead. I first thought I was going to use a GPO to trigger a startup script, but apparently you can’t use those with Citrix PVS. 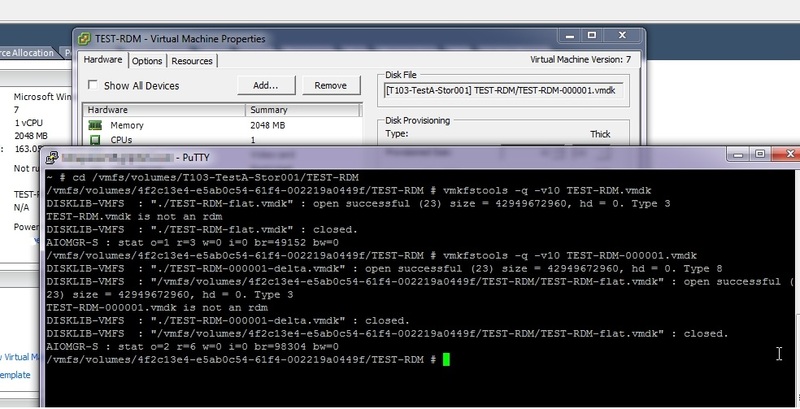 The VM thinks it’s the identity of the master on boot – your WMI filters don’t work. $computers = get-adcomputer -Filter * -SearchBase "OU=OU2,OU=OU,DC=foo,DC=com"
I create an empty variable and write the diskpart commands out to it. Then I use Out-File to save the diskpart commands to a text file in C:\windows\temp. Then I call diskpart.exe with an /S command switch, which executes the commands in the script. Because I used the -ComputerName parameter, all of my code is remotely executed on the desktop. Hope this post saves you some time. Note that this script will change network settings and REBOOT VMs if you execute it. I was watching the script while it executed, I pinged the guest DNS name first to ensure the IP wasn’t already on the network, then connected the NIC, then pinged again to make sure it was back on the network. I figured I could Control-C to stop if something looked wrong. I rebooted all of the guests to avoid any failed service / failed task problems that might have occurred while the guests were disconnected. We encountered issues that mysteriously appeared after a patching window on our vCenter server. We had just upgraded to vCenter 4.1 earlier in the month and this was the first time the server had been rebooted since the upgrade. After reboot, the Last Updated timestamp on all datastores was stuck at the time the vCenter service came online. None of our disk space alarms worked because the datastore statistics were not being updated. We noticed that the problem only appeared on the 4.0 U2 hosts – datastores connected to 4.1 clusters had no problem. 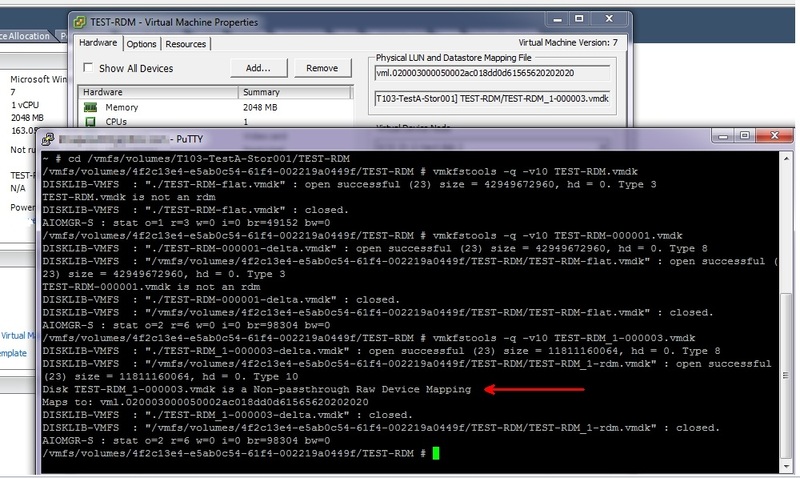 The workingDir parameter allows you to configure a specific datastore for VM snapshots. We attempted to configure the workingDir parameter in several of our virtual machines. We then found out the hard way that a storage vMotion erases the workingDir parameter – a snapshot completely filled the datastore containing our C: drive and made a serious mess of the SQL VM. VMware’s official position is that workingDir is not compatible with storage vMotion. When you add a new datastore, vCenter initiates an automatic rescan on the ESX hosts in the cluster. This can create a so-called “rescan storm” with your hosts pounding away at the SAN. This can cause serious performance problems for the duration of the storm. Even if you don’t have enough hosts in a cluster to see a real problem, it’s pretty inconvenient to have to wait for each rescan when you’re trying to add 10 datastores. To disable the automatic rescan, open your vSphere client. 3. Look for “config.vpxd.filter.hostRescanFilter. If it’s not there, add it and set to false. If it’s currently set to true, you have to edit vpxd.cfg and restart the vCenter service. C:\Documents and Settings\All Users\Application Data\VMware\VMware VirtualCenter\vpxd.cfg, change this key to false and restart the vCenter service. Doing this creates a new problem – you now have to manually force a rescan on every host. Here is a PowerCLI one-liner to automate this process. It will perform the rescan on each host in the cluster, and only on one host at a time. I had a nearly empty datastore in one of my vSphere clusters that I wanted to destroy so I could steal some of the LUNs to grow a different datastore. I migrated all machines and files off the datastore, it was completely empty, but I kept getting an error from vCenter saying it was unable to delete the datastore because the resource was in use. I eventually discovered that a VM in the cluster had its CD-ROM connected to one of the ISOs that I had moved off the datastore. Disconnected the CD-ROM and I was good to go.